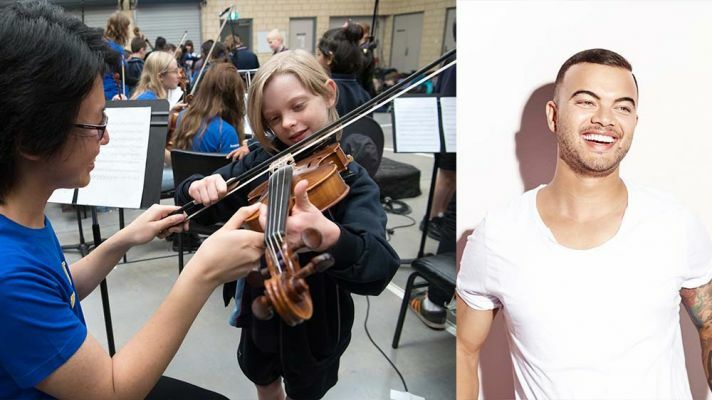 A new documentary planned on ABC, featuring singer-songwriter Guy Sebastian, is set to tackle the lack of music education in primary schools. A 2005 report by National Review of Music Education found that 63% of Australian primary schools offered no classroom music. Hopefully in the last 12 years those numbers have changed, as studies have shown incorporating music into the classroom can improve literacy, numeracy, confidence, behaviours and wellbeing. The three part series, Don’t Stop The Music, will be filmed over nine months at an Armadale primary school, following the journey of year 4 students as they pick up instruments (donated by the public) for the first time and learn about all aspects of music and how it can positively shape their life in and out of the classroom. The face of the series, Guy Sebastian, will serve as a mentor to the students, working on songs with them and encouraging them to take up an instrument. Sebastian said he saw first-hand (as a singing teacher in Adelaide) how music would light up a child’s face, and believes every child deserves that feeling. Children and teachers at the school will also be exposed to leading music experts to help them learn at their very best, with visits from high profile artists to inspire the kids. Once the series is launched, celebrities will be campaigning to encourage the public to donate unused instruments that could be distributed to primary schools in need. Keep an eye out for campaigns and the launch date of the series!